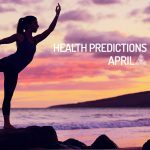 Looking for the health predictions for April? Stars have shown what to expect for April 2019 in what comes to health. Check it out! During the first half of April, the natives of Aries will enjoy physical strength thanks to the presence of the Sun in their sign, until the 18th (on April 19th it will enter Taurus). However, it is important to note that during this period Mercury will be retrograde under the influence of Aries (until the 15th), which may induce a migraine, allergic or nervous diseases. The presence of the Sun in Aries favours recoveries in a short period of time, but it is fundamental to comply with the medical treatments fully, and not leave them to feel better, sooner than expected. Recall that Uranus is also in Aries, which tells us about unexpected events, so it is better not to play with health and follow the recommendations of the specialists at face value. Important: if you want to transform your lifestyle, especially in the topics of food, exercise routine and rest, you will have two favourable dates this season: April 15th and 28th. On April 15th, the New Moon will be in Aries, an event that is characterized by promoting changes, competitiveness, the value to undertake (or restart), and the consideration of one’s own worth (healthy selfishness). On the other hand, on April 28th, Juno (asteroid of commitment) will enter Aries, which translates into an opportunity to take responsibility for yourself (health, lifestyle), and what you want to achieve (purpose, goals, objectives). One aspect that you must not forget is the entry of Chiron into Aries, an event that will take place on April 17th. Chiron is known as the wounded healer, the one who shows what we help to heal in others, but we do not recognize in ourselves. When Chiron makes his entrance in the sign of the ram, he will direct your attention towards the old emotional wounds, which have remained hidden, but that when manifesting (in the unconscious) they attempt against inner peace. Chiron in Aries talks about recognition of the right to exist, reaffirmation of identity, motivation to fight, insecurity hidden in a reckless attitude, repressed aggression, fear of loss of control, and physical complexes. Venus will remain in Taurus until April 23rd, so the natives of the sign will be concerned about issues such as improving self-esteem (working self-esteem), and image changes. It is convenient to point out that Mercury will continue retrograde in the XII House of Taurus, during the first fortnight of the month, generating certain mental confusion that leads the individual to act without recognizing the present context. In detail, retrograde Mercury in the XII House of Taurus can produce melancholy thoughts and longing for certain characteristics (physical or emotional) that you held in the past. The simplest example would be to retake an old cut or colour of hair, but this does not exclude more drastic modifications (such as surgeries), and with Uranus in the same location (Taurus XII House), we talk about unforeseen events. To face the situation, focus on what you have learned instead of what you think you have lost (youth, love, among others). The retrograde of Mercury in the XII House of Taurus is an opportunity to observe the past, without judgments, and to consider it from a perspective of maturity, facing the present and future objectives. Keep in mind that the Sun is also in the XII House of Taurus (until April 18th), which translates into the disconnection of the demands of the ego, and the need to participate in charitable or humanitarian causes. This location (Sun in the XII House of Taurus) also promotes the search for spirituality and contact with the divine from within, favouring practices such as meditation, prayers, and consultation with oracles. It should be noted that in House XII we speak of spirituality and mysticism, more personal communion with the divine and not a specific religion. In low vibration, the planets transiting this sector can attract conflicts of faith. Mercury, Uranus and the Sun in the XII House of Taurus are urging you to review “the skeletons in the closet”, to drive an attentive renaissance in which you can emerge as an empowered individual, aware of their potential. Let’s not forget, that the New Moon will also be produced in the 12th House of Taurus (on April 17th) and under the influence of Aries, which translates into taking the initiative when it comes to dissolving fears, and connecting with the forgiveness, inspiration and the divine. Likewise, Chiron will enter the XII House of Taurus on the same day as the New Moon (April 17th), announcing that it is time to cut off the ghosts of the past (not evade the situation), and heal the old wounds. In the physical aspect, the entrance of the Sun into Taurus (19th of April) will grant physical strength to the natives of the sign, and together with the influence of Venus, increase in the levels of fertility and personal charm. With the presence of retrograde Jupiter in the VI House of Gemini, the natives of the sign can experience difficulties in the nutritional plane, either by an excess of food or deficit (lack) of the same. Recall that Jupiter is known as the planet of expansion, so its influence tends to magnify situations (positive and contrast). Likewise, it is related to beliefs and the power of manifestation. In this sense, the health problems presented by the natives of Gemini during the month of April can be received with a pessimistic attitude, considering them punishments or divine proofs. Instead of being obsessed with the fact that the Universe opposes your wishes, take advantage of the opportunity provided by retrograde Jupiter and review in depth your life habits (health, nutrition, work, home routines, pet treatment). Meditation will help you to have a clearer perspective of the facts, without giving rise to victimization. The resolutions taken will be reinforced by the Full Moon in Scorpio, on April 29th. The lunar event represents a moment of a break in your old way of life, as long as you work aligned with the available energies; remember that the Full Moons are characterized by representing closures or conclusions. In the particular case that concerns us, these are habits or harmful behaviour patterns that you consciously know hurt you, but you refuse to leave, perhaps for a little comfort. It is important to highlight that if you want to make this type of change, do it by the hand of trusted specialists (doctors, naturopaths, coach life, personal trainer), and not on your own. Retrograde Jupiter is a good aspect to seek professional advice, in order to improve ourselves, but do not forget that the real changes start from the inside out. The lack of control in daily routines, excesses in food, desserts or elements such as alcohol and snuff, can be a wake-up call on intimate issues, which you fear to face. Practice self-knowledge. April will also be an excellent season to perform laboratory medical tests (especially blood tests) and detect any imbalance. Avoid binge eating or prolonged fasting. Mercury, the ruling planet of Gemini and Virgo, will be retrograde until April 14th, so it is convenient to be alert to the appearance of signs of allergy, environmental conditions or food. In general, the physical condition of the natives of Cancer will present a positive balance, during the month of April, this being a good period to start a new nutritional or exercise plan, with the accompaniment of specialists in the field. However, it is important that pregnant women of the sign Cancer pay attention to the development of pregnancy, and consult with the doctor of confidence, before any unusual symptom. Jupiter, planet of the expansion and regent of your House VI (health, work, routines), is retrograde in House V of the sign (zone of creativity and children), which could suppose an early birth. For those who are searching for new members of the family, through natural conception or fertilization processes, the retrograde movement of Jupiter announces small delays. It is essential that you do not assume these delays with a pessimistic spirit, because it is an excellent opportunity to evaluate your living conditions, projects and the concept of paternity. It should be noted that it is possible that Cancer is a victim of episodes of depression or melancholy, during this period of the year. The emotional imbalance responds to old unresolved conflicts. The entry of Chiron in the X House of Cancer, on April 17th, indicates that the situation involves one of the relatives of the subject (probably the father), so there is a work of internal healing to be done. Remember that regardless of the fact that the parent involved is absent (due to distance, death, resentment or a toxic relationship), you have the power to heal the injuries caused. Doing this work of conscience involves letting go of the fear of deepening one’s feelings, letting go of the past (guilt, attachment, despair), and forgiving, understanding forgiveness as liberation. When we talk about forgiving or using forgiveness as a way to freedom, in the case of any interaction that generated a certain degree of harm (intentional or not), it means cutting with negative feelings (releasing burdens). This does not imply retaking the relationship with the other involved (unless you wish) or request an indulgence personally. Forgiveness is an intimate act of liberation (similar to raising a prayer), and its benefits will pour out on you. Obviously, it is a process that should not be taken lightly or that happens from one day to the next, but it requires dedication and unconditional love (projected towards yourself) because by loving and valuing yourself, you recognize that you deserve to be free and happy. The Sun, Astro regent of Leo, will be under the influence of Aries until April 18th, which will encourage the natives of the sign to increase their level of physical activity and even participate in competitions, in some cases. Try not to exaggerate with the exercises, to avoid muscle injuries. You should also take care of excessive pressure (competitiveness), which can lead to migraines or episodes of stress (retrograde Mercury also in Aries). Later, when the Sun enters the sign of Taurus (19th of April), the focus will be on feeding. It is recommended to maintain a balanced diet, increasing the amount of fruit and decreasing fats. The most important aspect in terms of health, in April, will come from the hand of Saturn and Pluto. Both planets will begin to retrograde during the second half of the month (Saturn on the 17th and Pluto on the 22nd of April). The processes of apparent regression will take place in Leo’s VI House, so there is a demand to review the habits of life and work (routines, exercises, nutrition, household management). It is possible that if you favour a negative environment in the home or office, you end up being harmed in your health. Avoid creating unnecessary conflicts, particularly in the family environment. Keep in mind that Saturn retrograde in Leo’s VI House points to a possible reappearance of old ailments, which were not treated thoroughly or have a chronic condition. In this position, Saturn also fosters self-esteem care, based on the analysis of old experiences. Do not obsess over the details (another feature of the planet of karma in House VI), and look at the general picture. In the same way, Pluto retrograde in this location (House VI of Leo) points out a certain hardness in dealing with others and restrictions that can be reflected in intestinal problems, such as constipation. The retrograde of Pluto and Saturn is an opportunity to delve into the edges of your character that you like the least, and with Mars also in the VI House of Leo, two possible options are presented: to assume the work of consciousness with energy and enthusiasm, or react aggressively to the evidence. Important: the asteroid Vesta will enter the House VI of Leo, on April 1st, so the implementation of daily rituals, involving moments of reflection or meditation exercises or prayer, will be an excellent ally to overcome the evidence of the period. Mercury, the ruling planet of Virgo and Gemini, will complete its retrograde on April 14th, so this will be a period characterized by progressive recovery, both physical and psychological. If you have the opportunity to take a trip for therapeutic or relaxation purposes, take the opportunity. Venus in the IX House of Virgo (where the Sun will enter on April 19th), benefits this type of initiatives. Do not forget the hydration (drink enough water) and protect yourself from the effects of the sun, even if the day seems cloudy. The increase of the amount of fruits in your daily diet, is another point that you should not neglect. You may go through episodes of exhaustion or difficulty falling asleep. Recall that Ceres, present in the XII House of Virgo, began its direct phase on March 19th. This astrological position (Ceres in the XII House of Virgo) works compassion and empathy towards third parties, an aspect that in tension is used as a method of evasion (taking care of others so as not to see their own shortcomings). The retrograde of Ceres, in addition to evidencing this type of patterns, designed to elude the underlying problems, also indicates deep psychological conflicts that require attention. Ceres (direct) in the XII House of Virgo sponsors selfless work (volunteering) as well as introspection processes (empathy turns to yourself, and not only to the disadvantaged). It is important to note that Ceres in the XII House of Virgo is a favourable astrological position to treat beliefs associated with the mother figure (mother, grandmother, or another person who fulfilled that function). It may be the unconscious fear of resembling the mother herself (regardless of whether the interaction with her was positive or not), some guilt associated with it, or the development of a conflictual relationship. In either case, it is essential to devote time to reflection processes (assisted by a therapist or alone), and to express your feelings, only then can you take the path to forgiveness and true healing. Important: do not forget that the South Node is kept in Virgo VI House, which translates into the revision of those behaviours (linked to work, health management and daily routine), which are harmful to you (and what you know). For example, dedicate all your energy and time to work, leaving no space for recreational activities, which forces you to run (instead of enjoy) when you share with the people that interest you. In the same order of ideas are those who want to maintain a healthy diet or start a new exercise routine, but are overloaded with professional tasks, and then blame for not meeting the objectives. In general, the natives of Libra will enjoy good physical health, during this period of the year. However, it is recommended not to commit disorders with feeding (excess or prolonged fasting). One aspect to consider in the month of April, is the presence of Venus in House VIII of Libra (until April 24th), a site where the Sun will also enter, on the 19th. With these alignments, the season is propitious to work (with professional help) personal conflicts on topics such as intimacy, trust, sexuality, guilt and resentment. This energy will be reinforced by the entry of Chiron into House VII of the balance, on April 17th, which will allow to work the beliefs linked to the couple relationships. It is interesting to keep in mind that on the one hand, Jupiter remains retrograde in House II of Libra, while Saturn and Pluto will begin their phase of regression to apparent on April 17th and 22nd, in the IV House of the sign. These transits stimulate the revision of the values learned in the family (Pluto and Saturn retrograde in House IV), and the feelings that undermine self-esteem (retrograde Jupiter in House II). Although the individual will always have the option of avoiding these tendencies, it does not mean that they will disappear or stop bothering. The internal balance is reflected in the outside (the environment). You can cultivate a “perfect” outer appearance and continue to feel dissatisfied; in the same way, attending only to the interior, does not guarantee that outside situations will resolve themselves. Through self-knowledge and the resolution of internal conflicts, you gain the maturity to assimilate everyday events; also, through interaction with others, you boost your personal development and empathy. You are at a decisive moment to break the old beliefs and patterns, which to some extent limit and condition your experiences (present and future). Releasing the past will be the decisive factor. April will also be an appropriate season to perform relaxation exercises or visit a spa. Another good activity is to start a diary (record) of dreams, in which you can dump the information you receive from your unconscious through dreams or visions. In April, Jupiter retrograde in Scorpio will take its toll on natives of the sign, for excesses committed with food or drink (intestinal disorders, high cholesterol, migraines, dehydration). However, the presence of the Sun in House VI of the sign during the first half of the month, points to successful recoveries even if it is a particularly hilly period, in terms of health. Do not forget that Mercury will end its process of apparent regression, on April 14th, also in VI House of Scorpio, a sector of the natal map linked with life habits, work, daily routines and physical well-being. Following this transit, we speak of sudden skin allergies, and minor respiratory conditions, which may include the throat area. Avoid thinking of these ailments as punishments or obstacles in your way. Retrograde Jupiter in your sign gives you the opportunity to rethink the kind of attention you give yourself. One of the main qualities of Scorpio natives is their intensity. They can be loyal friends, unconditional partners, committed family members and dangerous enemies. The problem is that they usually use most of their energy in taking care of others, and not of themselves. It’s time for you to start thinking more about your needs, and it’s not about forgetting the rest of the world, but about recognizing your own importance. In this sense, the entrance of Chiron to House VI will bring good prospects. The wounded healer, as he is known in the study of astrology, will enter the House VI of Scorpio on April 17th, making evident the distracting elements that you use to not take care of you. The designation of Chiron as a wounded healer is not chance, and obeys its primary vibrations: to point out that which we serve in others, but we refuse to perceive in ourselves. An example would be a person considered a great motivator, but who lacks the drive to support himself, because he doubts his ability to deserve and personal power (but not that of others). Returning to the case of Scorpio, Chiron in House VI can make you lose control to show you how are you leaving aside, while offering support to others or trying to organize their lives (in the case of the family). You may experience the situation like a jolt and bring up fears, through bowel disorders and episodes of stress. The more you resist seeing reality, the harder it will be to cope with the rhythm. It should be noted that before the reception of Chiron, the New Moon of the month will also take place in House VI of Scorpio (April 15th), an event that will serve as a window for the changes you want to introduce in your lifestyle. Keep in mind that the transformations are simpler if you have help, so it is a good idea to consult with professionals, before starting (psychotherapists, nutritionists, trainers, life coach, organizers, and others). Important: if you suffer from a chronic respiratory disease, comply with the medical care of rigor, as Saturn and Pluto retrograde in your III House, during the second half of April, which can activate this type of ailments. The month of April will have a positive balance for the natives of Sagittarius, in terms of health. The presence of Venus in VI House of the sign, until 23rd of April, indicates concern for one’s own well-being, and enjoy daily routines. Later, when the Sun entered the same astral site (VI House of Sagittarius), the sons and daughters of the centaur gain strength and vitality, something beneficial for those who go through recovery processes. However, if you are in a period of convalescence, the improvement is no excuse to end medical treatment sooner than expected. Follow the specialist’s instructions with rigor, to guarantee good results. Important: The union of Venus and the Sun in House VI of Sagittarius (from April 19th to 23rd), coupled with the presence of Uranus in House V, points to the possibility of unexpected pregnancies. On the other hand, Jupiter keeps retrograde in the XII House of the centaur. As you will remember, the planet of expansion is the ruler of your sign, so its transits have special meaning for you. Jupiter retrograde in the XII House of Sagittarius, is translated as the call of spirituality, the reunion with the past (people or situations), and the emergence of old ailments (do not disregard the advice of the doctor). When we talk about the reunion with the past, it can be the return of people who had special meaning for you (not necessarily of a romantic kind), or the repetition of a circumstance. Although the protagonists are not the same, you can have the (repeated) feeling that the facts are repeated. The response to these events will make clear the current degree of maturity, and the difference with the self of the past. With regard to the spiritual call, retrograde Jupiter in the XII House of Sagittarius, it implies to regain contact with the divine and those causes of beneficial nature, in which for a long time you want to participate. Excellent season for introspection and self-knowledge. Additionally, it is advisable to dedicate enough time to rest, to counteract the effects of the hectic work rhythm, which will be imposed this month. Saturn and Pluto will begin to retrograde in Capricorn, on April 17th and 22nd, respectively. For natives of the sign, the event translates into questions about the personality and the essence of being. It is about working the old and new beliefs, including the conditioning acquired in childhood (Mercury retrograde in House IV of Capricorn, until April 14th). It is a favourable time to seek assistance in the matter (psychologist, psychotherapist, an advisor in family constellations), and face the past instead of being crushed by the old patterns. Possibly you will experience some rejection of these events (Mars and Lilith are also found in Capricorn), and the immediate need to turn the page, without going too deep. Although you think that the inner world takes time out of your plans “in real life”, you must understand that you are your greatest project and as innumerable gurus proclaim: what we observe outside is a reflection of the internal. Saturn and retrograde Pluto impose consciousness and responsibility in the process itself. Therefore, resolving the conflicts that you hide in the deepest, is a good way to face the present, with another perspective. Success and prosperity are not limited to professional and material goods, it involves all spheres of life. There’s no use being a giant house, no time to enjoy it, or bills full of money if you’re sick. In this sense, the retrograde of Saturn and Pluto in Capricorn also warns about the reappearance of chronic ailments, especially related to bones and joints. Take care of your physical body, remember that it is your main vehicle in this plane. The presence of the asteroid Pallas in VI House of your sign, is an excellent aspect to follow indications and therapeutic treatments. Do not neglect the rest days, watch your diet and follow a routine of moderate exercise. Avoid getting carried away by negative feelings, as they can also make you sick (emotionally and physically). When Venus entered Capricorn the VI House, on April 24th, you will have the opportunity to reflect on the convenience of being loving with yourself, and give you the care you deserve. In general, the physical health of the Aquarian natives will have a positive balance, in April, so the focus will be on the mental, spiritual and emotional aspects of the personality. Saturn and Pluto will begin their phase of retrograde in the XII House of Aquarius, on April 17th and 22nd, respectively. This implies a considerable alteration of the unconscious for the sons and daughters of the water carrier. It is crucial that you dedicate enough time to the periods intended for rest, since alterations of sleep (much or little sleepiness) will characterize this season. Saturn retrograde in House XII of Aquarius fosters the tendency to excessive isolation, and the appearance of certain phobias that can encourage the first pattern of behaviour. In the same way, Pluto retrograde in the XII House of the goat generates difficulty to express the mental dynamics of the moment, the reason why the subject tends to become reserved. As you will remember, Mars and the Lilith (the Dark Moon) are also found in House XII of the water carrier, which implies reactivity and rejection towards those who try to get him out of his reverie. You can make sense of the available energy, dedicating yourself to activities of enjoyment in the home, instead of falling into obsessions or growing anxiety about what will happen in the future. The retrograde of Saturn and Pluto also contains an excellent period for self-analysis and participation in individual sessions of psychological therapy, with a specialist in the field. Remember that the XII House is the realm of the unconscious, mysticism and previous existences, so that the retrograde phase of Saturn and Pluto will bring to light much of what remains hidden. You can evaluate patterns of the past that you are afraid to repeat, old beliefs that must be eradicated, and even conditions that remain in the shade, waiting for the precise moment to activate. It should be noted that, on April 1st, the asteroid Vesta will also enter the Aquarius House XII, which implies a reconnection with the divine, through introspection. This contact with spirituality is more an approach to one’s immaterial essence than the approach of a formal religion: an act of reconciliation with the different aspects of divinity. April will be a positive season for Pisces natives, in terms of health. You will feel full of energy and vitality, something that will also be enjoyed by those in the process of recovery. Despite the positive balance, it is essential that you do not exaggerate physical efforts and minimize the intake of substances that contain caffeine, within its composition. Likewise, it is recommended to devote more time to rest, and to practice exercises such as Yoga, Lu Jong (Tibetan yoga), or Tai Chi (Chinese martial art). These types of activities will help relax your physical body, while you cultivate inner peace. Outdoor hikes, visits to the spa, and a greater consumption of fruits and vegetables, are also advisable. The presence of Ceres in the VI House of Pisces provides an excellent management of time and efficiency, which you can apply both in work and in personal care. It is important to keep in mind that Jupiter keeps retrograde in the IX House of Pisces, which will impel the natives of the sign to undertake an exhaustive revision of its scale of values and beliefs. It is possible that there is a change of religion, or the study of a new spiritual current, which you feel closer to the ideals that you currently accompany in your daily life. Keep in mind that self-analysis can generate certain levels of discomfort, especially when we approach the deepest levels of the inner world, but knowing ourselves thoroughly is the pillar of consciousness work. Avoid the temptation to evade, through travel or a hectic social life that can bring more displeasure than goodness (Saturn and Pluto retrograde in the XI House of Pisces, together with Mars and Lilith). The inner world will demand your attention, wherever you are.